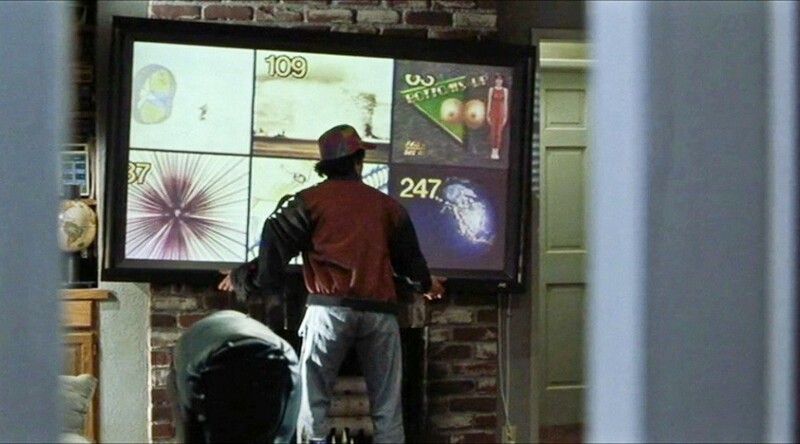 Predictions 'Back to the Future' Surprisingly Got It Right! Predictions ‘Back to the Future’ Surprisingly Got It Right! Back to the Future is one of the coolest blockbuster movies ever made in the history of Hollywood. For me, it’s a trilogy I consider literally mind-blowing! It’s this weird science-fiction comedy-adventure mixture from the 1980s that leaves you simply spinning around with its big, loud, and gangster theme insights. Back to the Future truly has a golden standard that can never be surpassed! From how the movie displayed the ticking clock to Marty’s hitching a car ride through Hill Valley, it’s all iconic. This time-traveling trilogy has made some interesting future presumptions about the world we live in today, and surprisingly most of them were spot on! 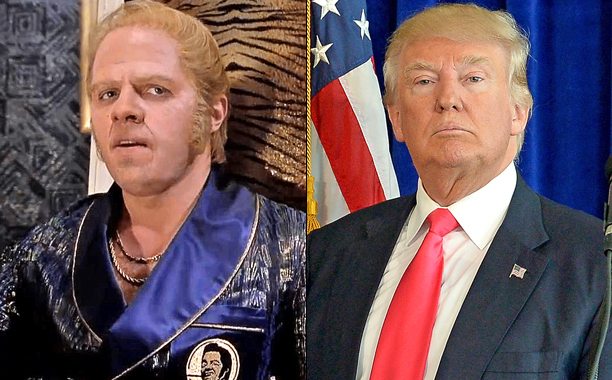 In Back to the Future II, Biff Tannen, the bad guy, had some interesting similarities to Donald Trump. Not just that both looked alike but both had gotten married three times and lived in mansions painted in gold! In the movie, Biff becomes a very successful businessman who after opening a 27 story casino got involved in politics. Sounds familiar? The flying drones were everywhere in Back to the Future II; they were shown doing about anything and everything, from capturing pictures to even walking dogs! In our present day, even though we still walk our dogs the old fashion way, flying drones are now available for purchase for about USD 1,000. You can use them for magnificent beauty shots, or you can even use them to catch fish! The fingerprint recognition was used throughout the whole trilogy, using thumb-prints to open doors and such. Today fingerprints and other biometric methods are being used frequently to unlock devices like iPhones or to even unlock the door to your house. In the movie, Marty’s trainers were one of the coolest and most creative inventions ever! 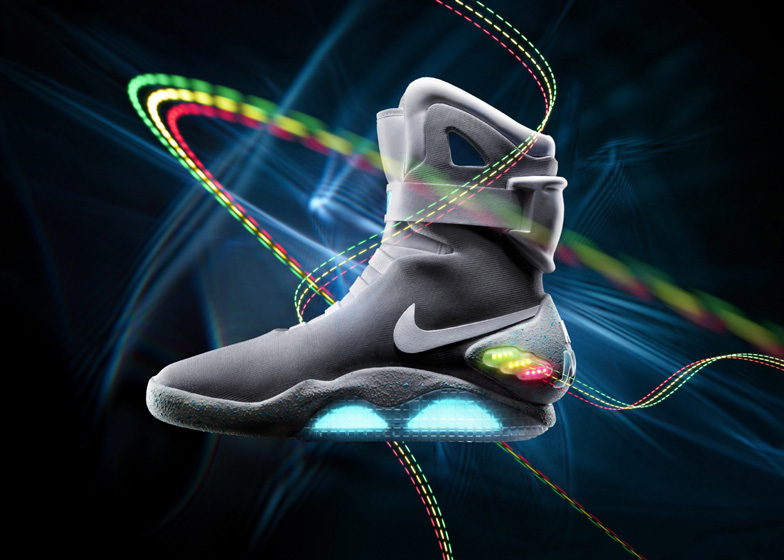 Now, Nike has invented their own self-lacing trainers, which are the exact replica of the ones in the movie. In the movie, Marty’s future self gets fired through a video call. Not only did this scene predict the invention of Apple’s FaceTime and Skype, but also Facebook, as the video call featured personal details. Such as, date of birth, location, and political affiliation that were all shared online. 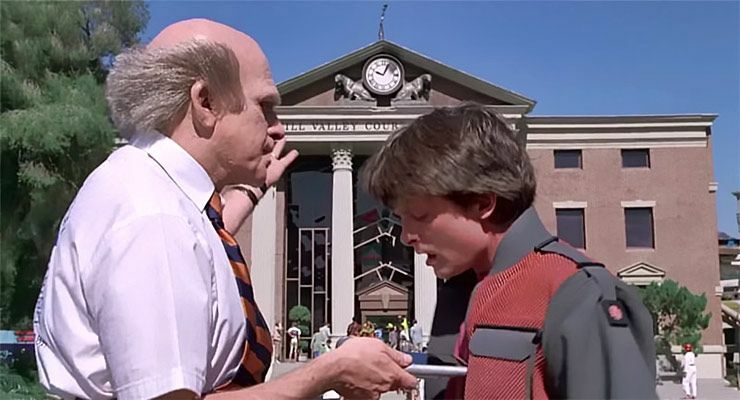 When Doc meets Marty by the clock tower, he hands him a device that looked a lot like a tablet; the idea was decades ahead of its time. Tablets were featured in the movie in a chunkier form, but still, wow! You still can’t buy a car with a fusion engine like the one in the scene when Doc used garbage to fuel his car, but in fact, Toyota is now promoting its first hydrogen fuel car and launched an AD campaign featuring the film’s cast. It’s considered to be eco-friendly because they convert hydrogen and oxygen into electricity with water vapor as a byproduct. In the movie, Marty appears very baffled when he sees a television with multiple channels, something that is very common today! As now you can have more than 600 channels enough to blow Marty’s 80s mind away, he would also be astounded by today’s VR tech. There was a scene where we see a version of some sort of smart glasses that let you watch TV and play video games. Last year in 2018, the VR headsets were launched and actually went mainstream, as well as, wearable techs like Sanp’s Spectacles and Google Glasses. There was a scene where Marty’s future kid was playing at the arcades at Café ’80s and some kids bullied him saying, “So you mean you have to use your hands…That’s like a baby toy!” Although in our present day you still have to use your hands to play a lot of games, however a few years ago Microsoft launched their Xbox Kinect, which allows you to play games using only your voice and gestures. 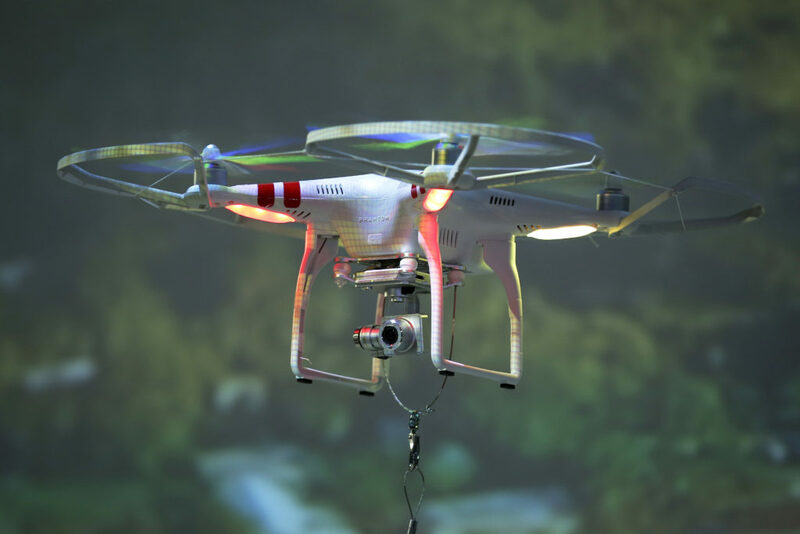 WE SAID THIS: We can’t wait for the flying cars!